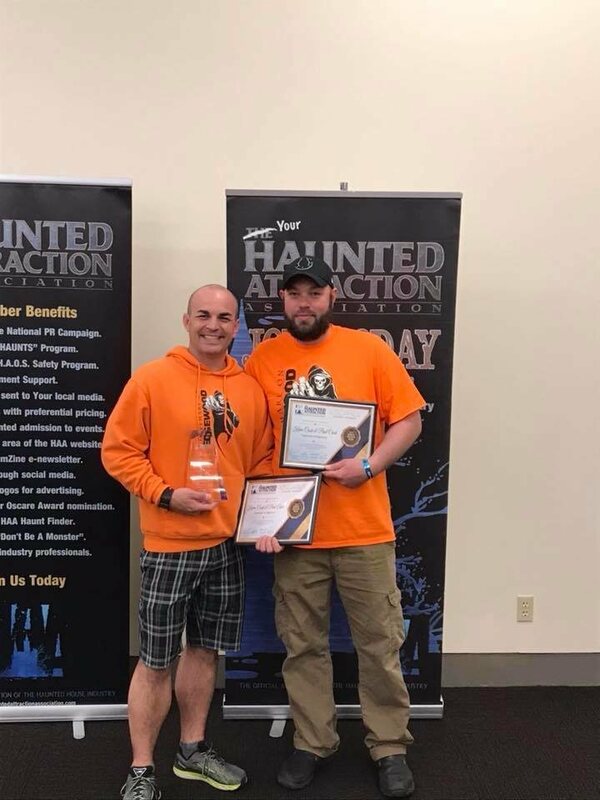 IndianaHauntedHouses.com recently sat down with Kevin Cook of Nightmare On Edgewood, to discuss what's new at the haunt for the 2018 Halloween Season! Located in Indianapolis, this attraction has fresh and frightening scares for thrill seekers this year! What's new at Nightmare On Edgewood for 2018? Do you have any new rides, attractions, or special features that Haunt Seekers should know about? Two of our three attractions are new (and the third one is refreshed), as well as our custom-built escape room. First, guests will face their own mortality as they tiptoe through the EDGEWOOD MORTUARY and sidestep new friends in the cemetery out back. KARNIVAL, last year’s popular circus-themed attraction, summons a whimsical nightmare with sinister clowns waiting around every corner. The adventure concludes in CONLEY MANOR, our most realistic attraction that brings victims face-to-face with lingering psychopaths while trampling through the aftermath of a gory massacre. 2018 is Nightmare on Edgewood's 40th season in operation! The haunt originally started in 1978 at the Conley farm off of Gray Road in Indianapolis. My brother and I acquired the haunt in 2009 and continue to uphold its reputation as Indy’s Most Intense Haunted House. Many of our 50+ volunteer actors and staff have parents and grandparents who remember working at Nightmare on Edgewood in their youth, so we are proud and excited to celebrate this monumental year! What differentiates Nightmare On Edgewood from other local haunts in Indiana? We live up to our reputation as Indy's Most Intense Haunted House in large part due to our hands-on policy, meaning you WILL be touched as you walk through the haunted attraction. Our actors are trained and never touch inappropriately or in unsafe ways, but the do-touch policy definitely makes for a thrilling, real-life experience! What's your favorite experience since opening Nightmare On Edgewood? Seeing the repeat customers we have every season and the friendships it has built. How long is a typical haunt experience at Nightmare On Edgewood from start to finish? On a scale from 1 to 10, how scary would you say Nightmare On Edgewood is? Why? We strive for a 10, and many of our patrons would agree that we are an 8, 9 or 10 due to our do-touch policy, aggressive language and ominous characters. Does Nightmare On Edgewood's property have any real haunted history? Do you have a spooky encounter you'd like to share? Unfortunately it does not. But if you stick around late enough, weird things start to happen. I started scaring people when I was 8 and have been hooked ever since. How has new technology (i.e. animatronics, special props, etc) helped you to enhance Nightmare On Edgewood? It’s helped to have scares be more efficient and come from places you would not expect. Can Nightmare On Edgewood accommodate large groups? How many people can experience Nightmare On Edgewood together as a group? We offer group discounts for large groups, but we do not allow more than 6 or 7 people in a group through the haunt at a time. Does Nightmare On Edgewood offer any special deals, discounts, or coupons? Coupons on our website, a Yelp check-in offer, and special deals for our fan club.